For example, you can set “brt” as the shortcut. 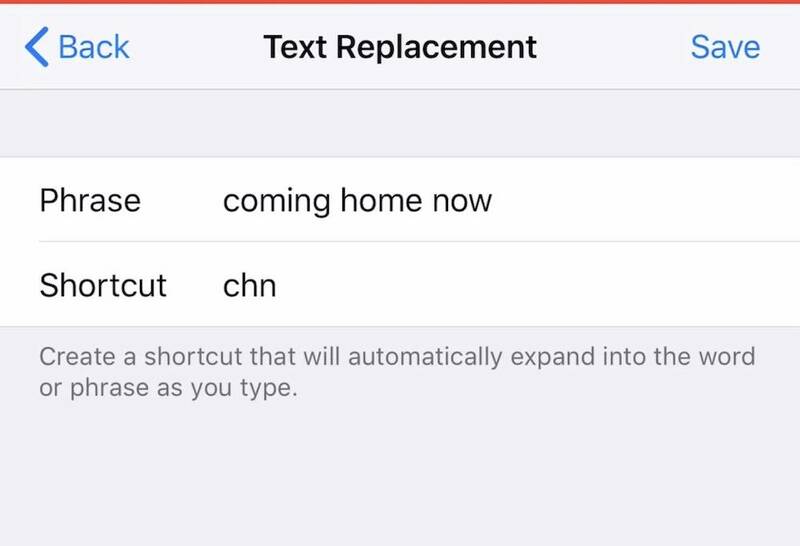 When you type that into iOS, it’ll automatically change it to “be right there.” To set up Text Replacement shortcuts, just go to General > Keyboard > Text Replacements. Tap the Plus icon (+) to add your own.